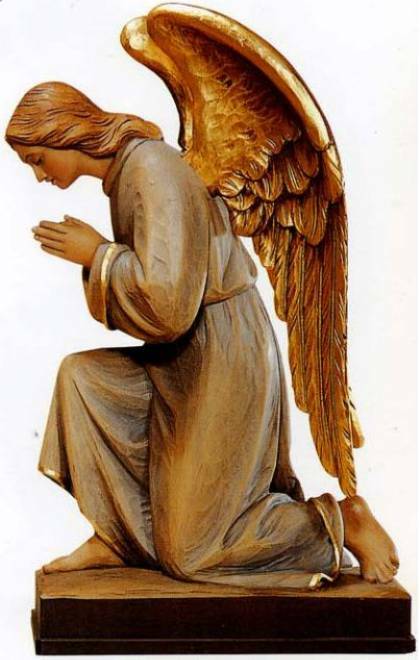 Home » Church Goods » Statues / Nativities » Angel Kneeling Statue 22" - 30"
Angel Kneeling Statue 22" - 30"
Size: Please Select 30" (+CDN$195,501.50) 22"
This beautiful, full-coloured Kneeling Angel statue is hand carved in Linden Wood. This piece is hand painted in traditional colours with golden details and wings. For coordinating Angel see item 1260.